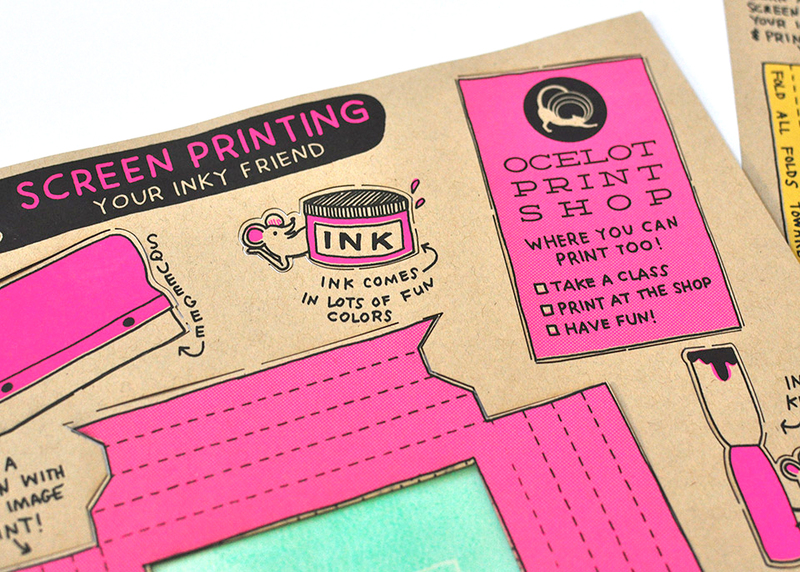 Two-color, double-sided hand-drawn flyer created to promote Ocelot Print Shop's classes and shop rental. 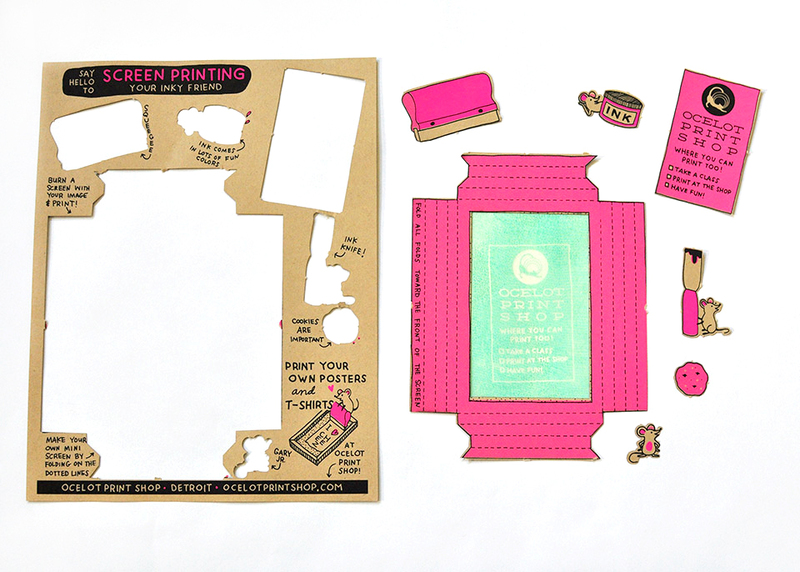 Pieces were laser cut so they can be popped out without scissors and easily assembled (no glue needed!). Printed on 8.5" x 11" French Paper.